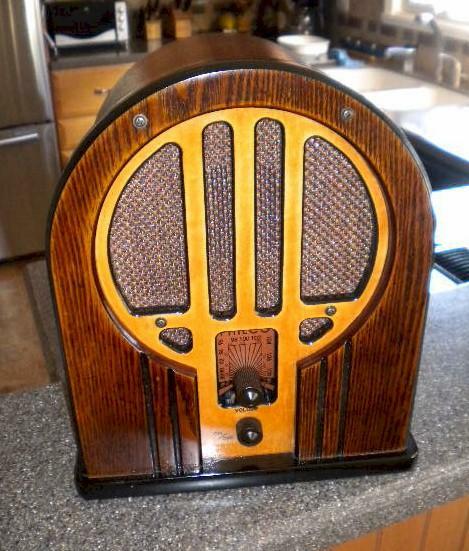 Take a close look at this very nice replica of the 1934 Philco 84B; this handsome set receives both AM/FM. Want to get a nephew or niece started in a wonderful hobby, this is the way to go. Measurements are very similar to the actual radio. Would make a great gift. Price includes Shipping & Handling to the lower 48.